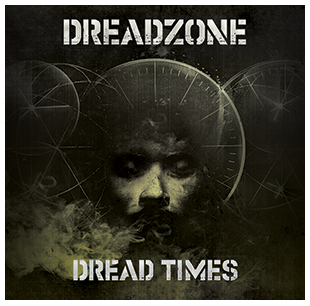 Dreadzone return with their 8th studio album of dubbed up grooviness. Dreadzone were one of the original pioneers of the digital-dub-dance vibe, releasing their first album way back in 1993. Their third album, ‘Second Light’, from 1995, became a classic and was one of the best albums of the 1990s. So the all-important question is, twenty plus years on, have they still got the magic touch. The simple answer is – yes. And then some. Throughout the album the bass lines are rich deep and funky. If you listen to this album on a decent sound system and your feet do not tap uncontrollably, we suggest you check your pulse. Kicking off with ‘Rootsman’, they dip their toes into Nyahbinghi territory with traditional Rastafarian drumming lying under the earth shattering bass line. And in doing so they are setting out their stall – paying tribute to the originators back in Jamaica, whilst giving everything a contemporary 21st century vibe. It’s quickly followed by ‘Mountain’, with an entrancing dubby bass line and McSpee’s trademark gruff voice contrasting with Earl 16’s authentic roots style. It talks of lifes journey and constantly looking to the future. There is a video to go with this track which implies it might be coming at ya in single format in the not too distant future. Battle has a wicked up-tempo drum beat running through it that will help you burn of calories whilst sat down. As usual, the lyrics throughout are socially conscious. ’16 holes’ drops the bass really low and warns against rude boys taking their guns to town and ‘Black Deus’ talks of freedom on the streets whilst laying down a heavy drum and bass vibe. ‘Music Army’ hints at an old theme for the band with a traditional English seafaring vibe hidden in the background. ‘Area Code’ ups the tempo, getting your whole body shaking and instrumental track ‘After the Storm’ winds down the set allowing you to drift off to your own place – a place where you smile and have happy memories. Twelve tracks in total, and as the old saying goes, all killer, no filler. Always known for their dubby vibes, this album digs a little deeper into the world of dub, which is no bad thing. Released on their own Dubwiser label and coming out on 17th February 2017, it has already laid down the gauntlet for being one of the best albums of the year. It will take a bold album to beat this come next December. To complete the experience it comes beautifully packed with sleeve notes and is available in doub le heavyweight vinyl. Catch them on tour near you soon.